What is it? 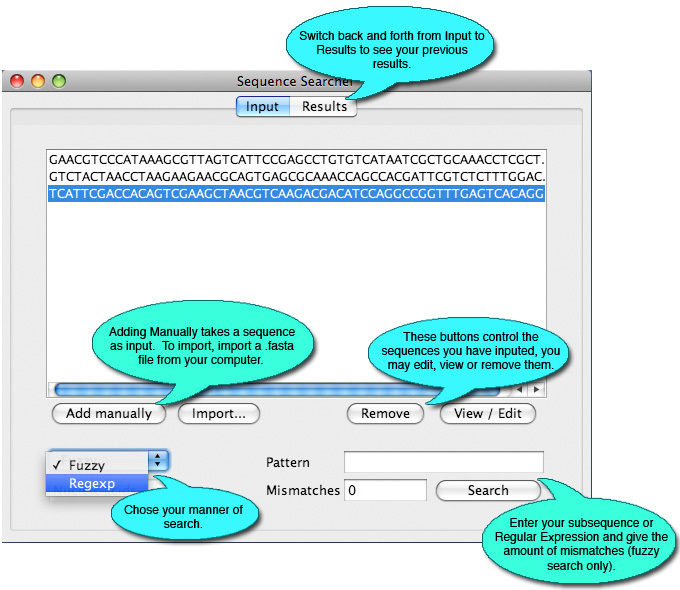 Sequence Searcher is a Java-based tool for searching single or multiple sequences for a specific sequence or motif. What can I do with it? 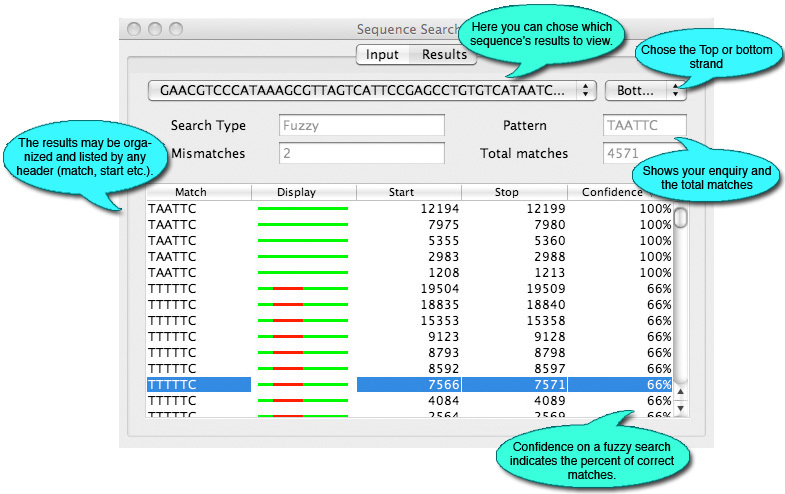 Sequence Searcher allows you to search for a subsequence in given nucleic or amino acid sequences in two ways. First is the Fuzzy Search: it searches for a given sequence with a number of allowed errors; second, the Regular Expression Search: it searches for sequences that follow a certain formula. How do I get started? Sequence Searcher can be accessed for free at www.virology.ca. There, go to the VBRC Tools drop-down on the left side of the page, select Sequence Searcher, then click the Launch Program button. Sequence Searcher will be downloaded to your computer and Java Web Start will automatically start the program. You can also click to see an explanation of how to use Sequence Searcher as an integrated part of Viral Orthologous Clusters (VOCs).